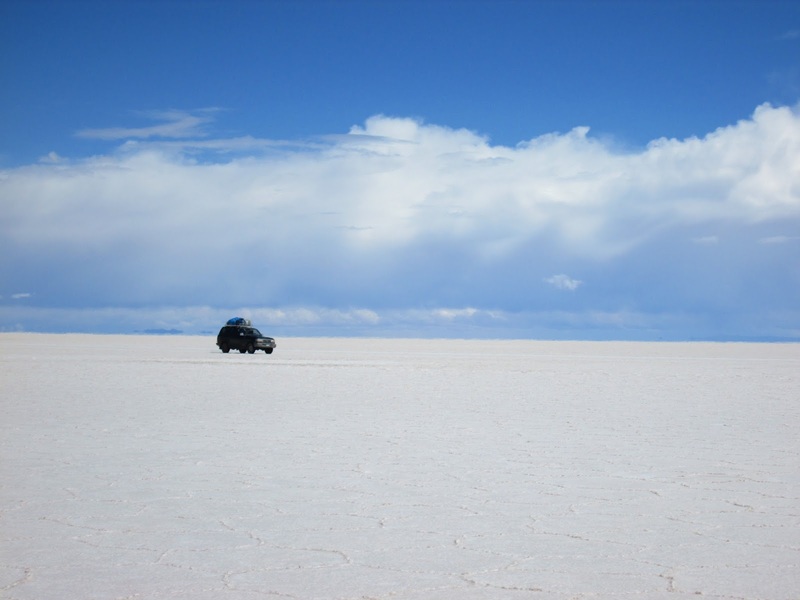 I left for Uyuni alone on Saturday evening, since I absolutely still had to do the salt flats and time was starting to run out. The busride to this middle of nowhere hell hole was absolutely dreadful. I was quite ill, feverish and had some stomach problems, the bus broke down at 3am (apparently not uncommon for Bolivia). I only remember bits where we were standing on the side of the road in the dark, cause I was shivering from my fever and almost lied down on the dirt road to continue sleeping. The last 8 hours of this 13h drive did not see one bit of paved way. It was impossible to sleep with my head bobbing violently against the window. Thank god I had not planned to do the 3 day salt flats tour immediately when arriving in the morning like most people did. 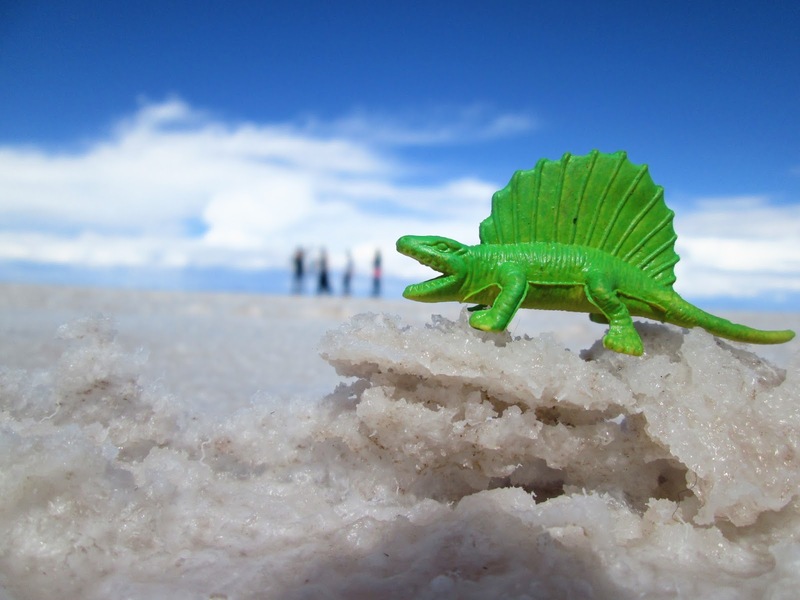 Instead I was going to spend the day in Uyuni. I spend most of my day in my bed, hoping to get better as fast as possible, and at the “extreme fun pub” which was another one of those Bolivian Lies, and anything but “fun”. but it was the only place in town with wifi, where the hoard of backpackers had gathered to sit their in silence, tapping away on their smartphones. 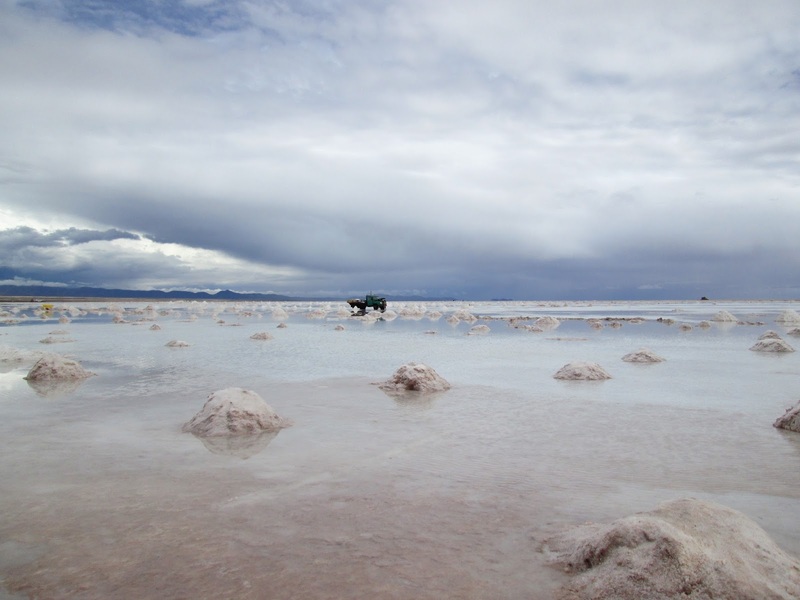 The next day our salt flats tour started, with 1 guide per 2 jeeps. My jeep luckily had the guide Rolando, my Spanish brother ;). I could stalk him with all my pesky questions about the insanely surreal geography of the region. We first went to a train graveyard right outside the city. 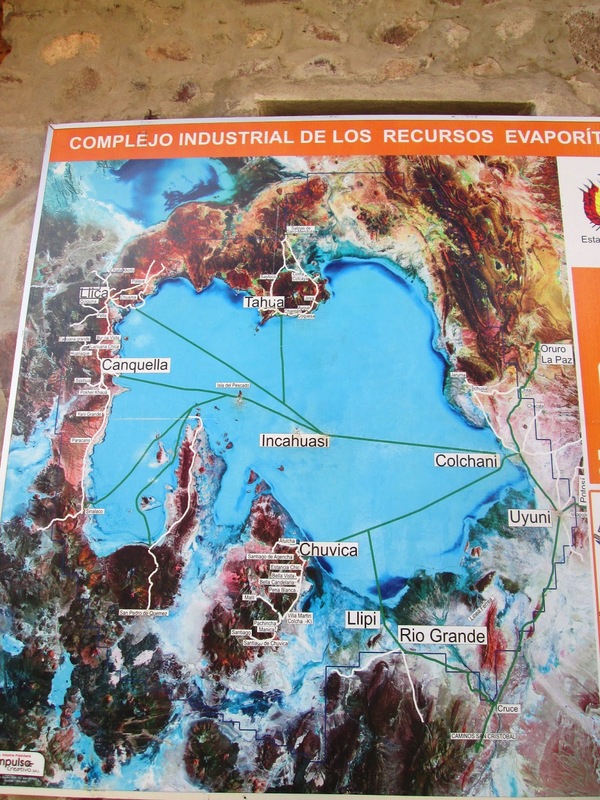 Since Bolivia has a lot of mines, its train infrastructure developed quite early, mostly thanks to the colonizers who invested in the infrastructure to get the much wanted resources. A lot of rusty trainwrecks just outside of the town were the result of such an investment. And then it was time to visit the salt flats, the iconic salt desert that can be seen from space. 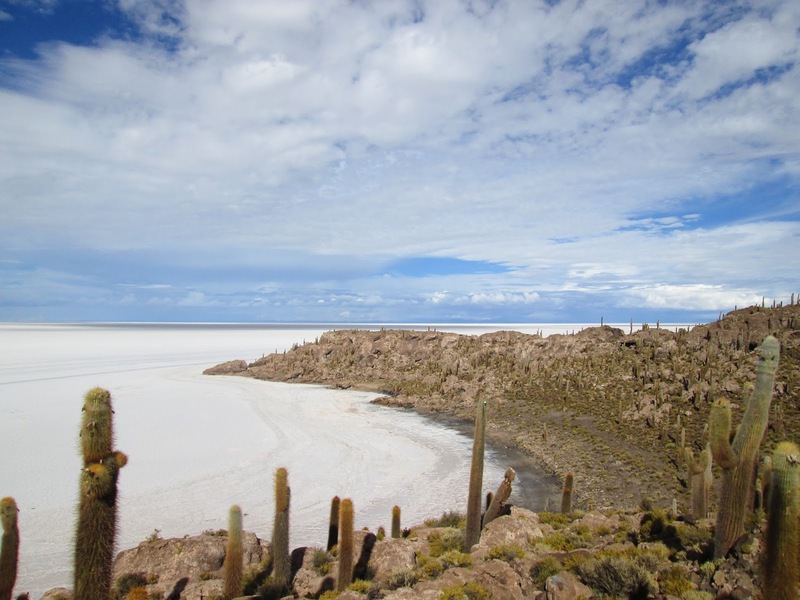 Thousands of years ago there used to be a sea where the salt desert was right now, but since it is located on tectonic plates (very noticeable from all the volcanoes surrounding it) the sea gradually disappeared with every earthquake. When only a layer of water was left, it slowly evaporated throughout the years and left behind all the salt of the sea. On the edges of the salt flats, families were ‘mining’ the salt, as well as creating bricks out of the salt, which were being used all around the region as a building block for houses. We drove to what felt the middle of the salt flats, and at a certain point it felt like we weren’t moving at all. There was absolutely no orientation point around us to see where we were. All we could see was salt, gradually going over into the skies. 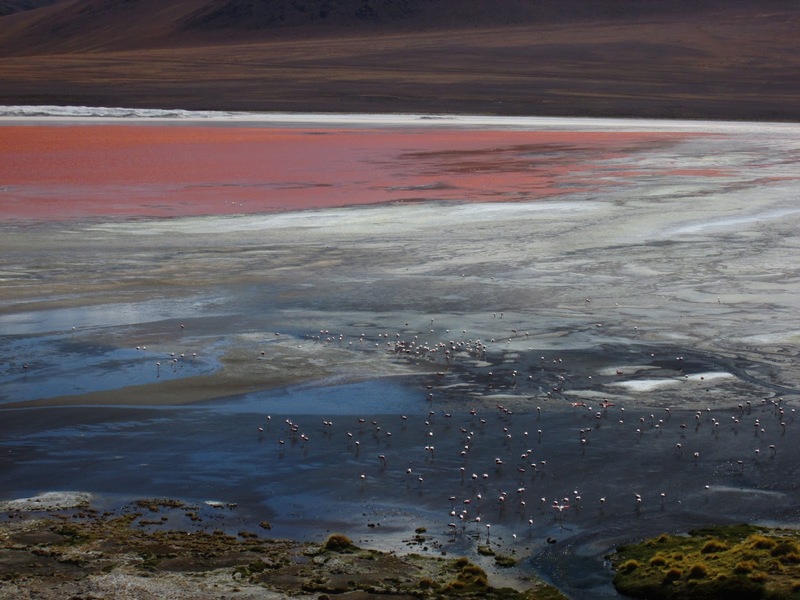 The salt flats are also called the place where the sky and the earth unite, which was very true. Because of this condition, the place was perfect for optical illusions and funny pictures HAD to be taken, playing with perspective. Our guide helped us out first, making a little photo shoot where everyone could have a picture with them as the main character and everyone else as background props, little minions. but it didn’t matter, it was such a surreal experience to be there that it’s forever ingrained in my mind (and every original funny picture has already been done anyway). We kept driving through the salt flats until we came to this surreal island full of cactusses in the middle of … NOTHING. Walking over the island (which wasn’t really an island anymore since it wasn’t surrounded by water) was a very bewildering experience, and the salt desert really felt like it was still a sea. The cactusses were thousands of years old and used to be the only source of wood for the people in the surroundings. We drove off the salt flats, which our guides were literally doing with a compass, because it was impossible to orientate. We drove on what felt like a coastal line to the accommodation of the night; one of those buildings made out of salt. Ironically there was absolutely no salt for the food that night. The next day we drove away from the salt flats in a different kind of desert, sand deserts surrounded by volcanoes and lagoons. We spent the whole day mostly sitting in the jeep for 45 minutes and getting out to take pictures of the amazing lagoons with its flamingo’s. It felt like we were on a safari to a different planet, seeing blue, green, yellow and red (!) 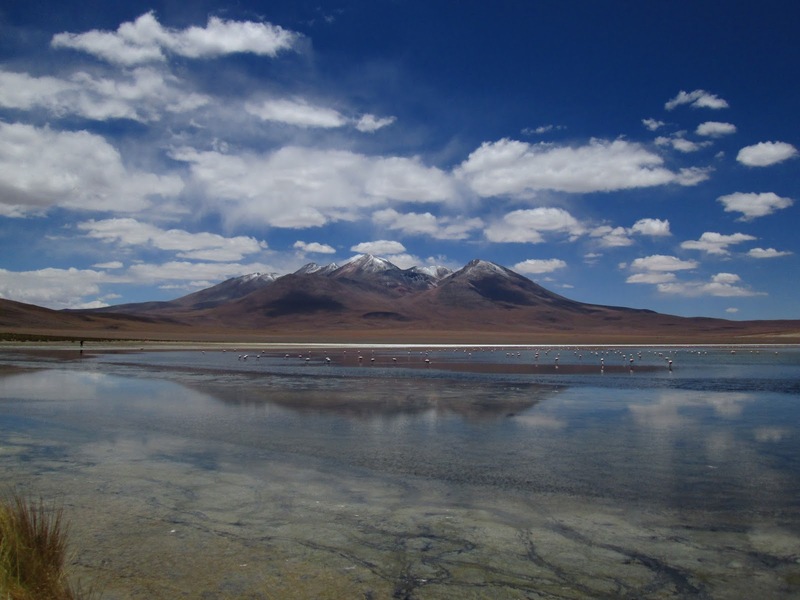 lagoons with alpacas and vicunas running along with the cars, very impressive! The Dakar rally that is usually being organized in the deserts of North-Africa would come to Bolivia a few weeks after that, and I already felt like we were in the race, with the insanely bumpy ride through the rough landscapes. We also stopped at some geysers that were literally blowing sulfur into your face, something my feverish body couldn’t really appreciate. That night we stopped at our accommodation next to natural hot springs. We were the only touring company that stopped there and were therefore also a bit more expensive but it was well worth it! 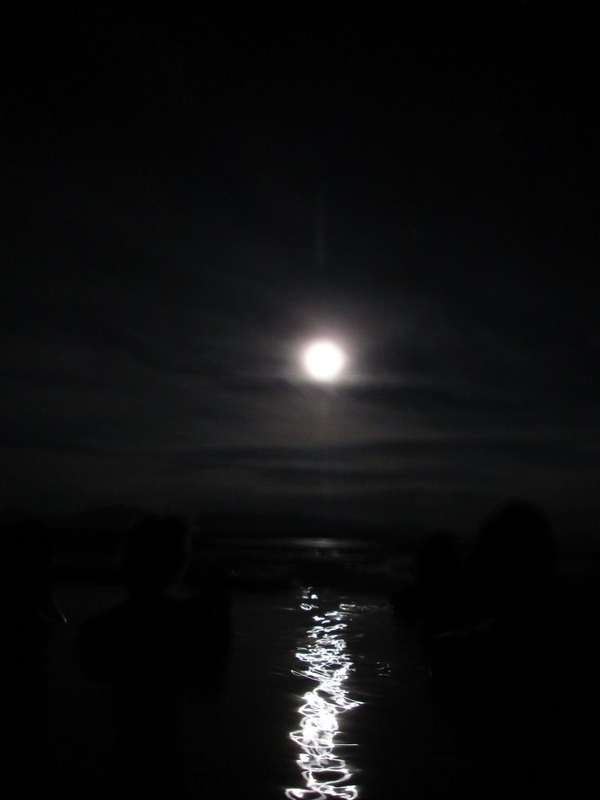 After dinner we had all bought something to drink and had some wine in the hot springs under the full moon, which was another unique experience. The other touring groups would wake up at 3am to visit the hot springs at 5am we noticed, and we were very glad not to have to go through that. Sitting with seemingly 70 people in such a tiny pond in the morning was nothing compared to what we had gotten. 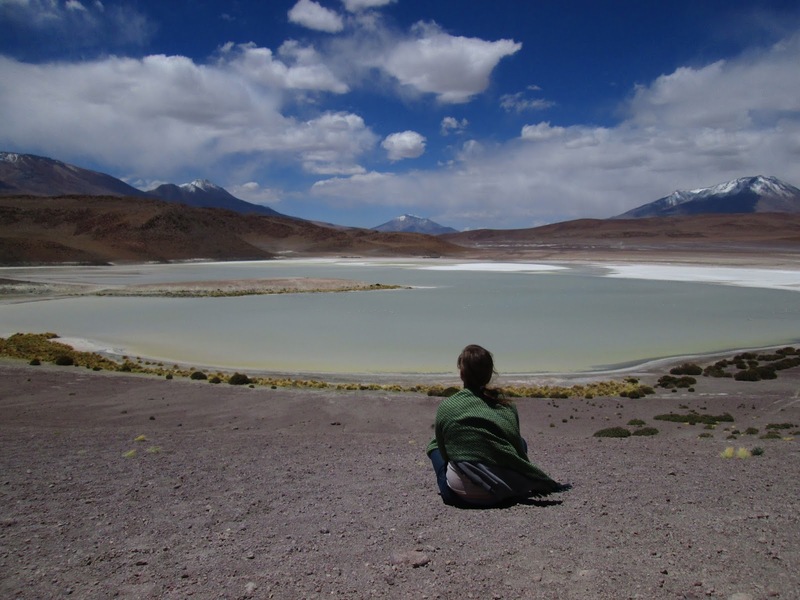 We drove towards the Chilean border in the desert after stopping by our last lagoon and dropped off the people that wanted to cross into Chile like that. All of a sudden we were only 2 more people left in the jeep, giving us each our own bench! I occupied the back one and tried to sleep for the 7 hour drive back to Uyuni but it was hard to sleep on the Dakar track, and I probably gained more bruises than sleep. 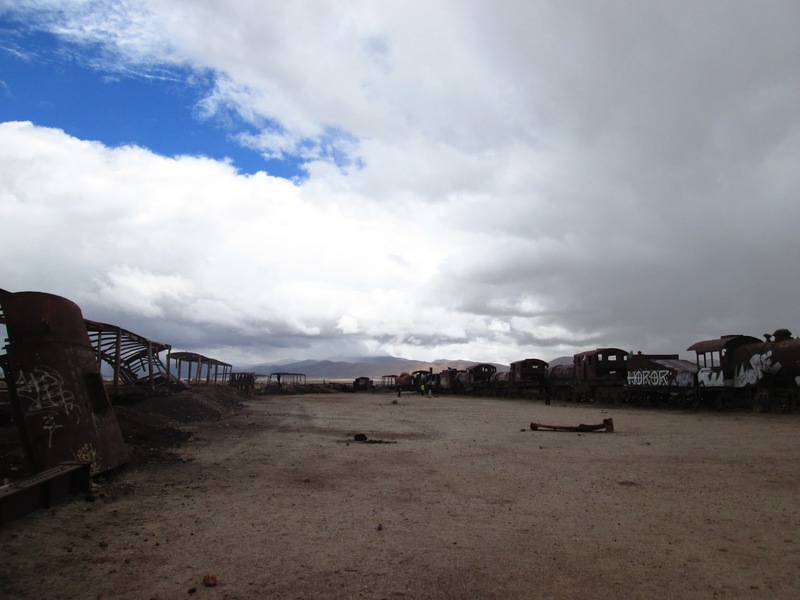 Arriving in Uyuni meant waiting for another 4 hours and then immediately going on the night bus back to La Paz. You can imagine that was again not the most comfortable ride, but I was very lucky that there was a bed available for me at the hostel in La Paz to crash in at 7am, and I didn’t have to wait until the check in time at 2pm. Even though I had been disturbingly sick almost the entire time and it took me quite some days afterwards to recuperate and heal my body, that three day trip on the salt flats had been the most surreal and amazing experience of my life, seeing so many different types of geography I never ever deemed possible. Pictures and words do not do the surroundings justice, for it was even more spectacular than it seems. If ever there was a place you should put on your bucket list, it’s definitely the salt flats and the lagoons and volcanoes surrounding it. I had one last day in La Paz before flying back to Brazil to celebrate Christmas, and while I didn’t plan to do anything eventful, I impulsively joined Alek and some other people to horizontally walk off one of the tallest buildings of La Paz in a rappel. 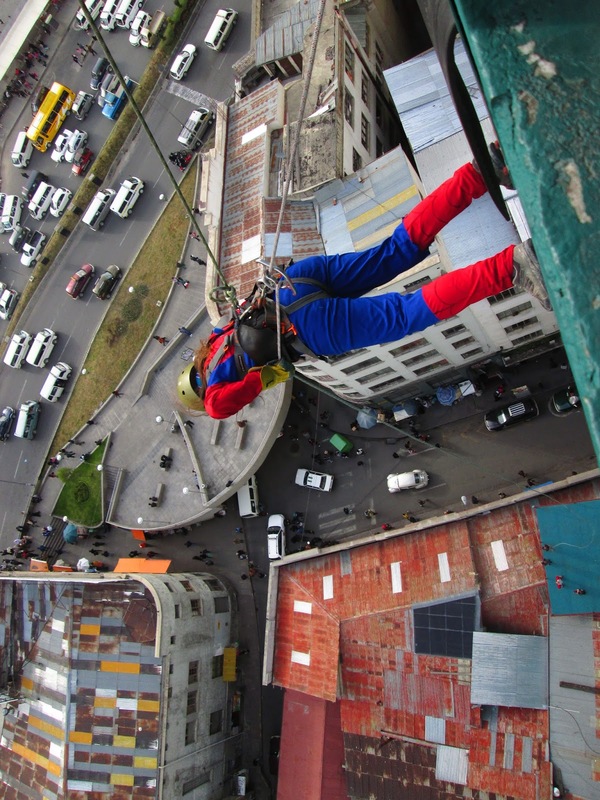 Urban Rush, the company that offered such an opportunity, had some funny costume to walk off the building, and while I should have gone with the bacon outfit, I spend my last day in La Paz jumping of a building dressed as Spiderman.